Chaps and femmes, let’s raise a glass to this year. This season we turned three years young, showcased the most delightful street food that Berlin has under its burgeoning belt and danced away a multitude of fabulous Fridays. All with you charming people! The Big Bite Club BBQ was for sure one to remember. This 4th of July street food jamboree was just what you carnivorous Berliners had been waiting for. A clan of BBQ pros from around the globe buckled down to give you the best in smoked treats. Star smokers Pignut BBQ and BBQ Shack were at the top of their game. Complete with tunes from Kleine Reise and set against the spree-side backdrop of Funkhaus Berlin, we danced the night away into the wee hours. Keep your ears open for more one-off upcoming frolics at Funkhaus. 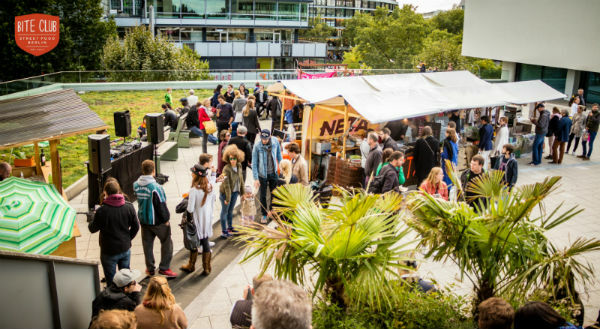 Our street food markets at ARENA Berlin are hands down the thrumming hub of BC. 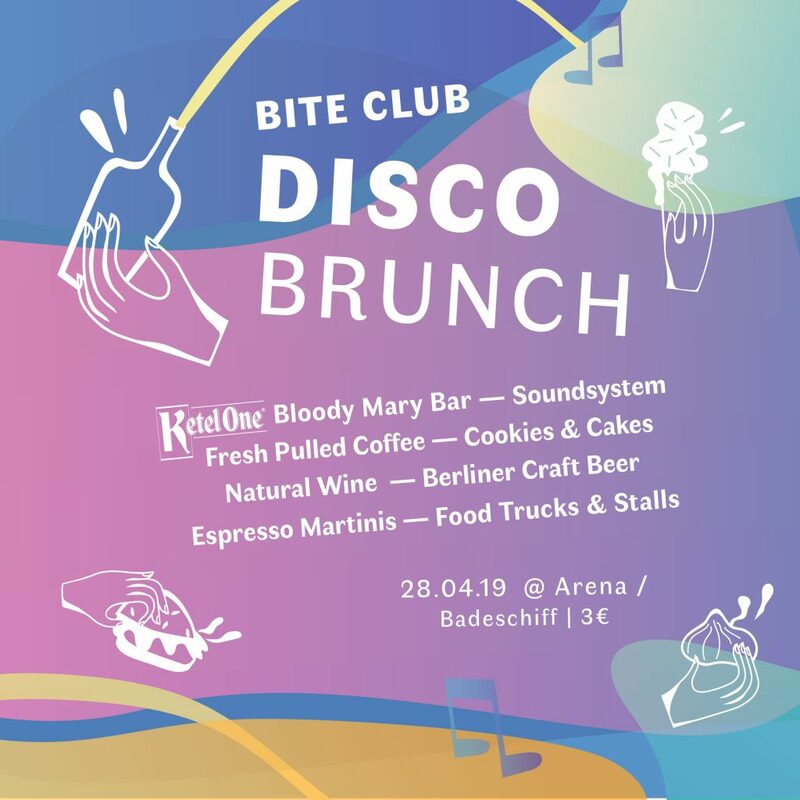 In addition to these fortnightly shindigs we also popped up around Berlin at various events with curated dishes to match. Think trucks parked up at art fairs, music industry summits and a handful of innovative workplaces. To give you a taste of our catering expertise, here are a couple of stand-out collaborations from this year. We fed and watered the folks at abc art berlin contemporary from our gourmet salad bar and array of rotating stalls. Our esteemed trucks and stalls alike fuelled the music makers at CTM Festival and Ableton’s co-venture Loop and the speedy runners at NIKE We Run Berlin. Both were powered up by delicious superfood eats from The Future Breakfast and burger talent from Bunsmobile. 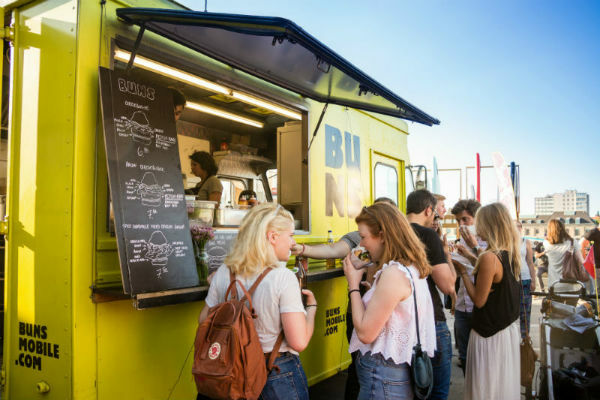 For the second year running, we partnered with Berlin Food Week but this year we went the extra mile and created a threefold boutique farmer’s market, rooftop street food market and outdoor truck market at BIKINI Berlin. The sun was a-shining, the cocktails a-flowing. As for next year, the doors to the summer season will be open in May. Be sure to bring empty bellies. In the meantime any special events beforehand will be posted here on our site and on our Facebook. 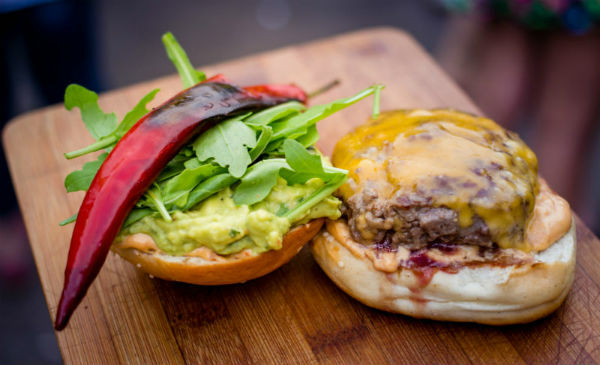 If you’re feeling nostalgic, believe us we get it too, take a cheeky peek at our ‘Best of Bite Club 2015’ album here for the snaps of the year.